It's official! I was invited to join with Scheepjes and their amazing group of bloggers. It's a pretty elite gathering of designers, and I'm honored. I've been ogling Scheepjes yarn for years--mostly from things I watched the talented Wink of A Creative Being make. But my first opportunity to work with their yarn was during my recent Design Wars challenge. 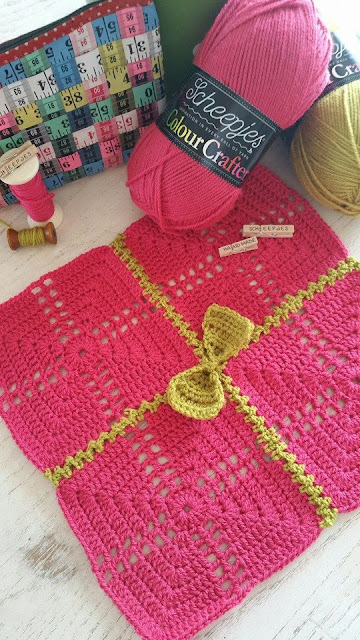 If you are interested in making this blanket and want a chance to get your hands on this yarn--Scheepjes and I are offering a kit with the crochet pattern and all the yarn needed to make the blanket in a Giveaway that runs through March 8, 2016. Head to the Scheepjes Facebook page here and follow the instructions on the image to enter to win. It's *Colour Crafter! I've completed a design with these heavenly colors and cannot wait to show it to you--but I'll give you a hint (shhh, it's a blanket). I've scheduled the release for the pattern on April 4. As you can see, this is also made with *Colour Crafter (I particularly like these two colors together), but there are 20 or so in the design. I'll share more when it's ready, so stay tuned! This is *Softfun and *Softfun Aquarel. I love the watercolor effects of the Aquarel and the weight and content (DK, 60% cotton, 40% acrylic) of this yarn is a perfect softness and durability. These colors are so soothing to me, as well. I haven't quite worked out the details of the colors I'm going to use yet, as there are so many pretty ones. But it might be a combo of some of these. It's so hard to decide!! I'm off to get hooking--I've got lots of ideas swirling and need the calm of my hook and yarn. Be well. Be at peace. Eat your veggies. Move a little. Love on your loved ones. Crochet some. *This post contains affiliate links marked by an asterisk. Thanks for your support. Wow, such gorgeous yarn and what beautiful colors. I envy you so much! 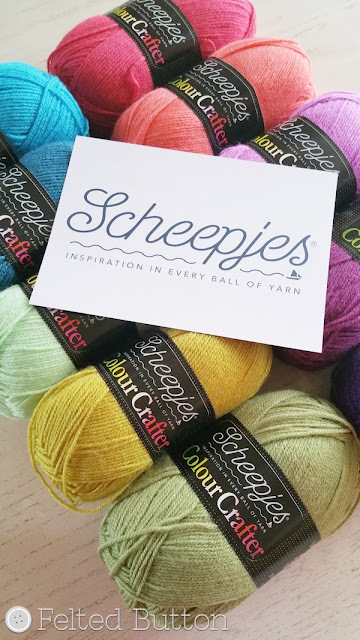 It is no wonder that Scheepjes wants you to join them, you are super talented. Congratulations. Thank you, Sangeetha. You are always so kind. So far, I've been really impressed with all of the Scheepjes yarn. It's pretty terrific to be working with them. Thank you! That is kind of you to say. Why, thank you so much. I don't know about deserving it--but I'm really excited! Happy you. 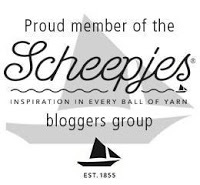 Who wouldn't like to be a Scheepjes member. Have fun with all their yarns. I love the softfun yarns. These new colors are beautiful. 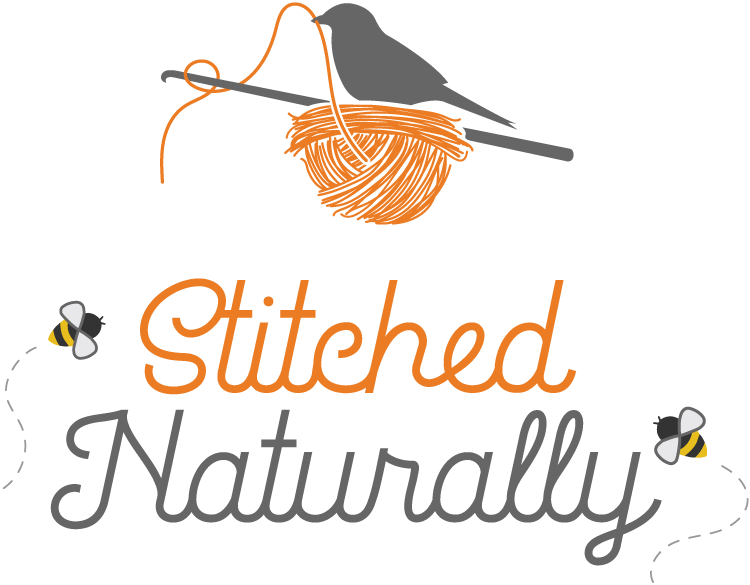 Aren't their yarns so great! I have been really enjoy the Softfun! I hadn't known that Wink passed away... lost her fight with depression. My heart goes out to her family. It has been very sad not having Wink around. She was such an inspiration to me and we had a lot of fun chatting and working on a book together--such an amazing person. Thanks for your kind comment, Kate. Congratulation! Reading your blog brings a smile to my face! That makes me happy to make you happy. LOL! That sounded super cheesy, but I find a lot of joy in spreading colorful happiness. Thanks for your comment! Congratulations, Susan! I enjoyed this post, and love Chromatic Cobbles. I look forward to seeing what comes next.